My soul sister, Shannon from Oh Creative Day, has been encouraging me for months to get all of the different photo paper art methods we've tried rounded up into one blog post to share and after getting so many questions in my DMs about it every week, I decided it really was time to make this photo paper post happen, so here goes! photo paper -- Dollar store photo paper totally works if you are trying any of these methods with tiny humans who are all about the process, but if you are looking for super vibrant, sharp art treasure like the stuff in these photos, you are gonna wanna shell out a couple of extra bucks for the good stuff. HP and Canon are our favorite brands and you def want it to be glossy. watercolors -- We've used the regular traditional dry cakes of watercolors, Blick brand and Colorations brand liquid watercolors, and our own homemade liquid watercolors and all of them work perfectly well. 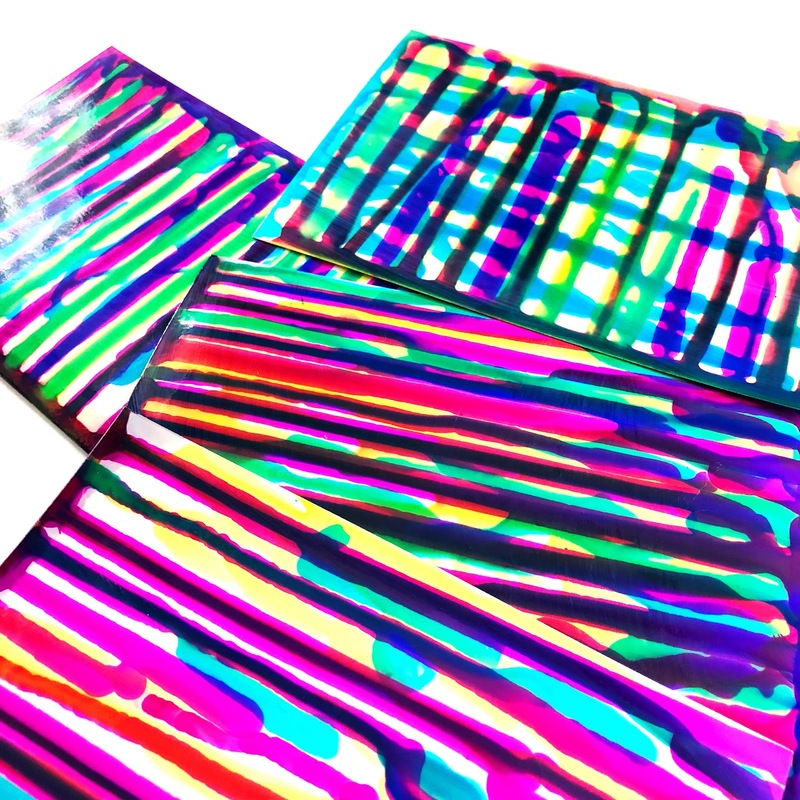 a tray or cookie sheet -- I can guarantee that your photo paper art will be two things: gorgeous and super messy. You'll definitely need something to catch all the mess under your art every time. This one is super simple and one of our ultimate favorites. Squirt a few small puddles of liquid watercolors close to each other on your art tray. Grab a piece of photo paper and squish the glossy side down on top of the puddles. Lift it up and admire your rainbow-y gorgeousness! 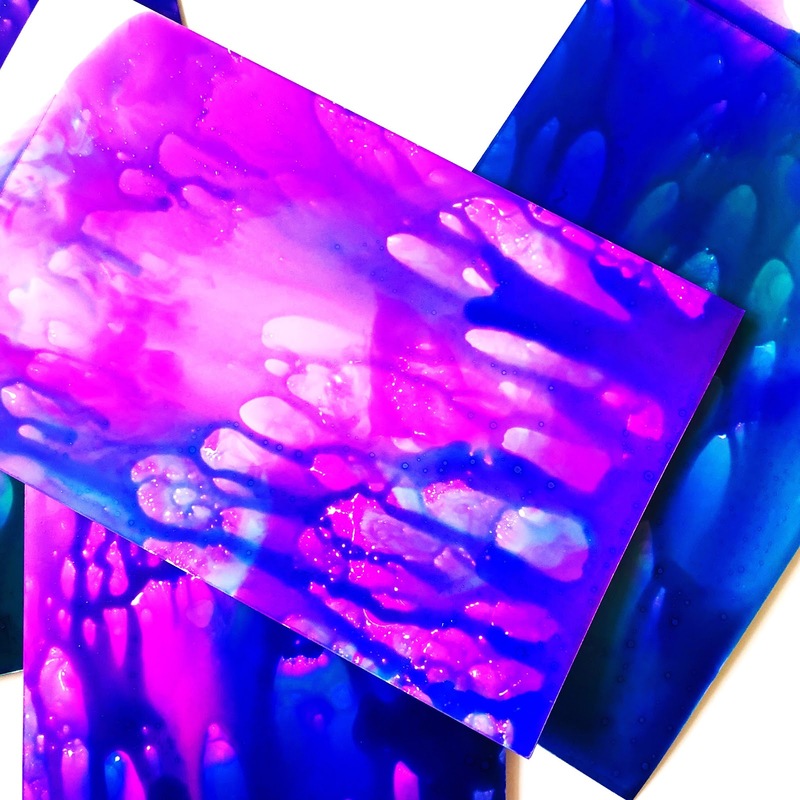 If there's a pretty puddle or two left on your art tray after any of the other methods, you might wanna try lifting a print of them, too! Some of our prettiest prints have been of the random leftover puddles. Can't waste a drop of those watercolors, right? nature treasure: flowers, leaves, sticks, pine needles, etc. We used the flowers from our favorite front yard tree to make these splotchy masterpieces. We tried making petal prints and using the whole flowers as paintbrushes, we even tried peeling off all of the petals and dabbing the paint on with the flower middles. We've got two winning methods for this one, which is your favorite? 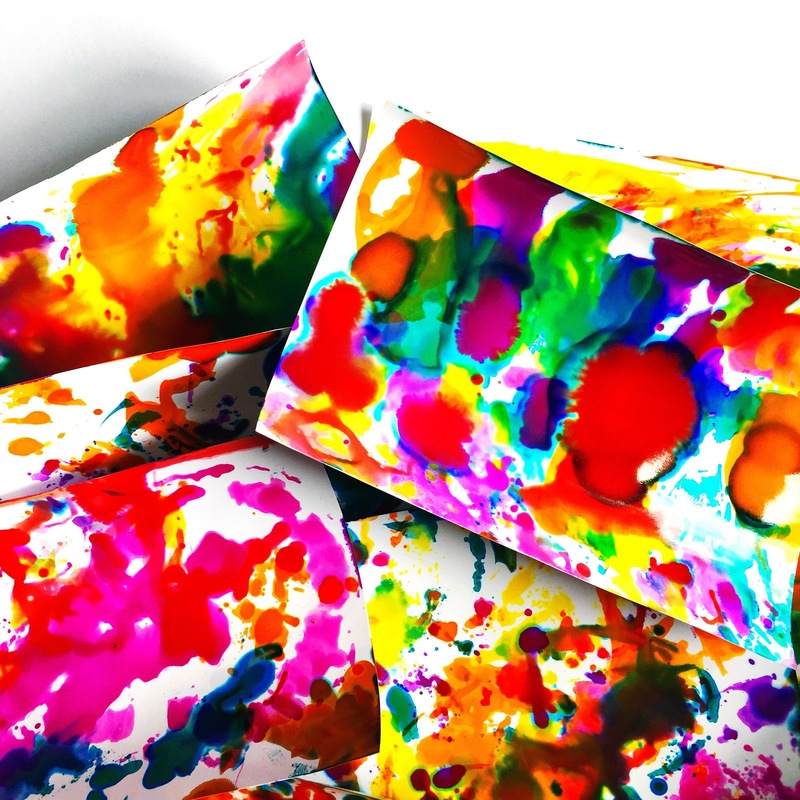 Use your pipettes to squirt drops of oil and drops of diluted-with-a-little-water liquid watercolors on your art tray. Squish the glossy side of your photo paper on top of drops. Lift up and check it out! 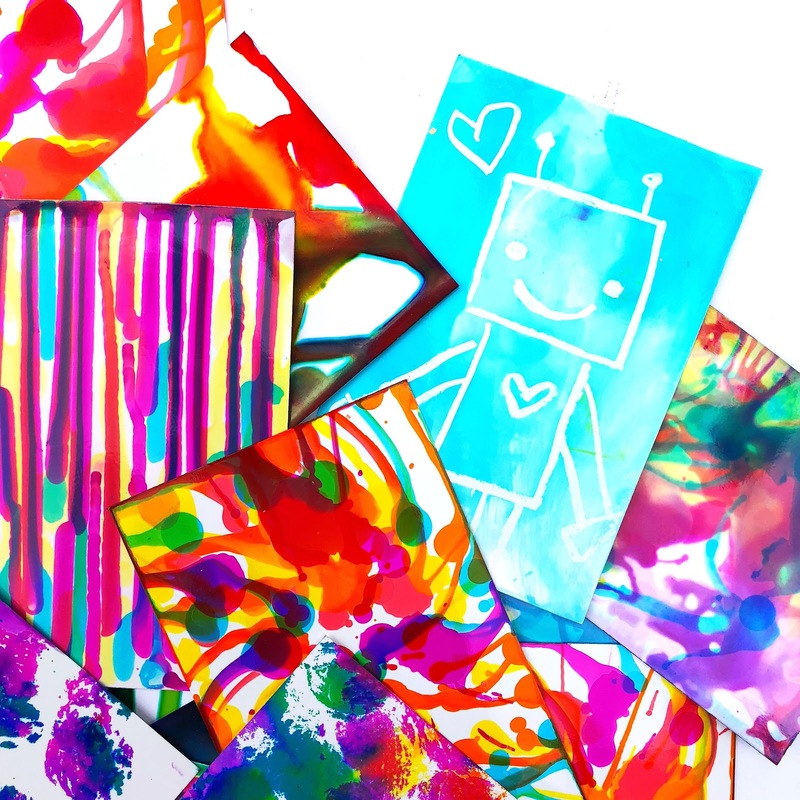 Use a paper towel to wipe a little oil all over your art tray. Use your pipettes to squirt drops and puddles on top of the layer of oil. Squish the glossy side of your photo paper on top of the watercolors. Lift it up and admire your handiwork! Stand a piece of photo paper up against your jar horizontally or vertically. Use a pipette to squirt drops of watercolors all over your paper and watch them drip down. Repeat with more colors, or turn your paper and squirt from a different angle. We like to squirt from the top edge to get maximum rainbow drippage and then fill in the empty white spaces with more squirts all over the place. 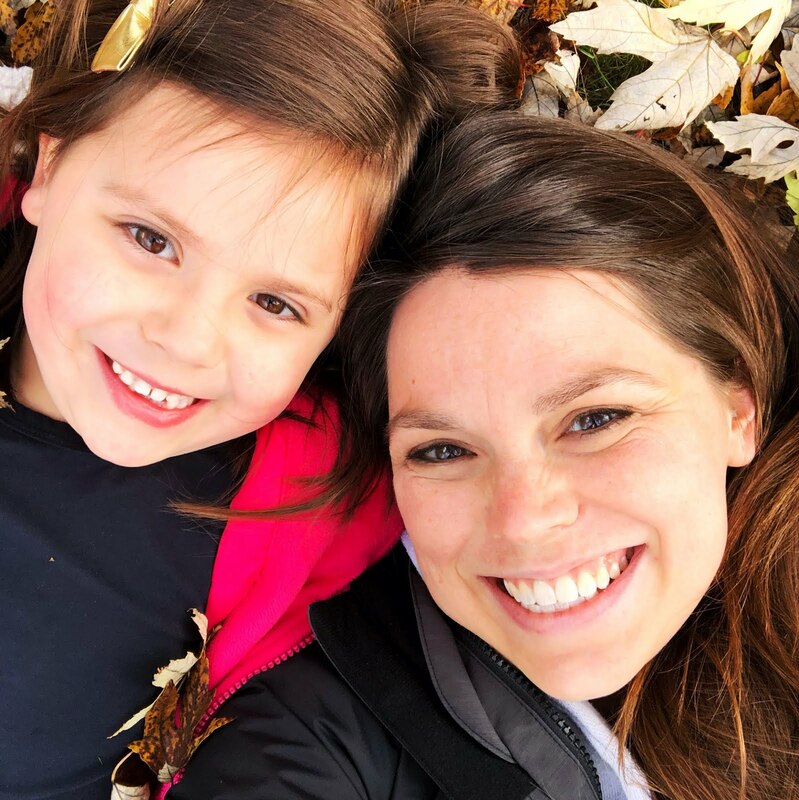 This is Kinley's ultimate favorite kind of photo paper art, and I know why -- it's suuuuper satisfying to watch those drips creep around! Painting with watercolors on photo paper with a paintbrush feels really cool and makes the most gorgeous art. It's definitely one of our absolute favorite ways to get our photo paper on and also to calm down during our pajama art sessions before bedtime. 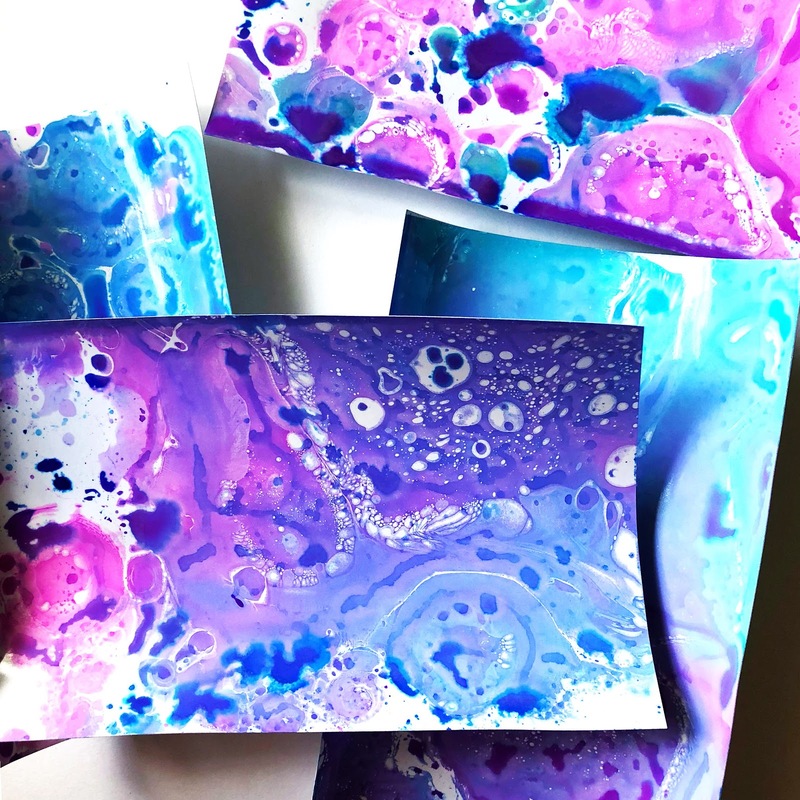 It's silky smooth, almost like painting on velvety glass, and the art you make this way makes the perfect vibrant addition to your collage or scrap box to use in other art projects when it's dry. We made these pretty paper quilts using some of that very art -- cool, huh? You can find the instructions here or by clicking the picture. Okay, so this one doesn't actually involve watercolors, but I couldn't resist sharing it y'all! It's TOO GOOD and so super easy. If you don't have bleeding tissue paper in your craft closet, you need some. Regular tissue paper unfortunately won't work and isn't the same thing. When you put water on this stuff the vibrant color just melts right out like magic. I waited for forever to buy some because I figured it was probably super expensive, but it's totally not and it's hundo p worth it. Brush a little water on your whole sheet of photo paper. It doesn't need to be dripping, just damp. Rip up some smallish pieces of bleeding tissue paper and arrange them all over your damp photo paper. The minute they hit water the pieces will start bleeding so you can't really move them around easily. Brush another layer of water over the top of the tissue paper. Let the tissue paper sit on top of the photo paper as long as you want, the longer it sits the more vibrant it gets. 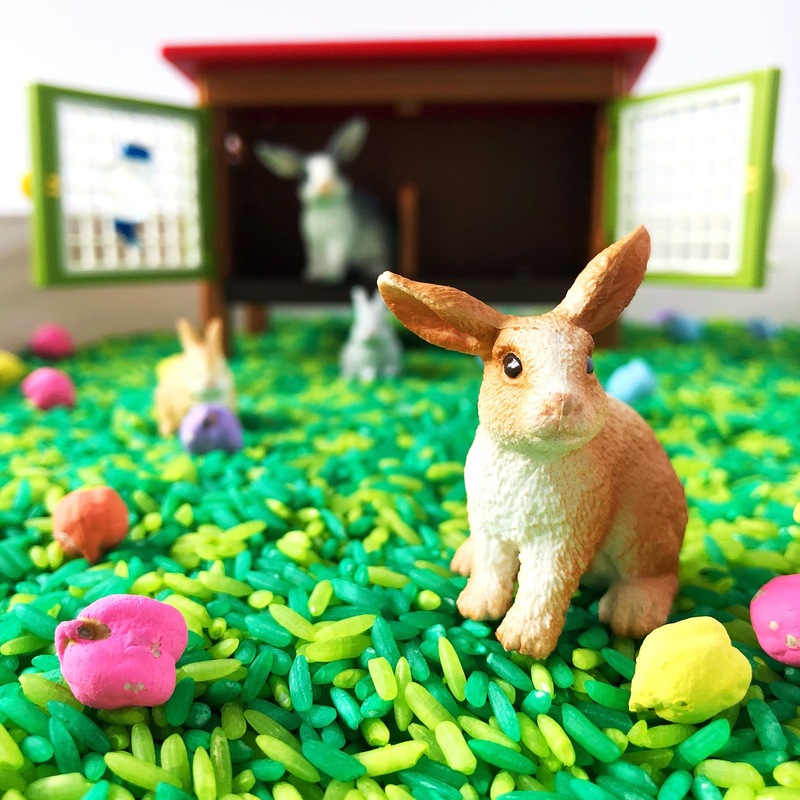 Pull all of the tissue paper scraps off and check out your masterpiece!